Alumina Ceramic square tile mats is combination of high hardness alumina mosaic tile and backed silk , paper or net .the low friction , smooth surface prevents materials build-up in low inclination installations. 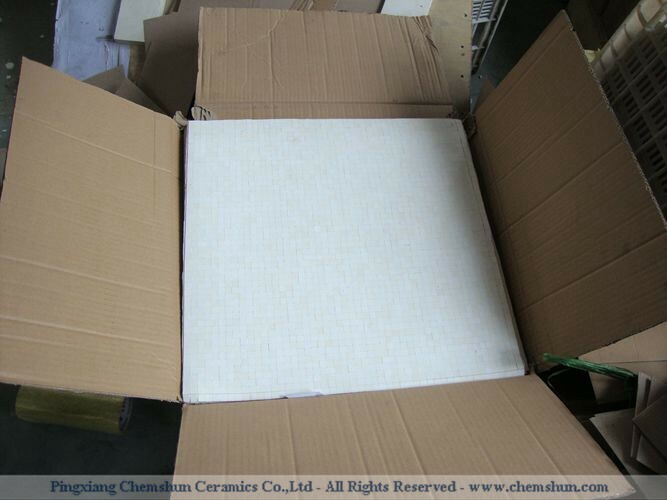 The square ceramic tiles make it possible to bend the sheeting which makes it perfect protection for con-ave and convex surface .the sizes of ceramic square tile matted can be easily be adjusted by bending the sheeting and cutting it in between the ceramic tiles .this alumina ceramic square tile matted has advantages including : no specialist tools required, can be applied to most substrates . Convenient design for fast and easy application .